Preheat the broiler. Arrange the red onions, eggplant, bell peppers and tomatoes on a baking sheet; drizzle with 2 tablespoons olive oil and season with salt and pepper. Broil, turning halfway through, until the vegetables are soft and slightly charred, about 12 minutes. 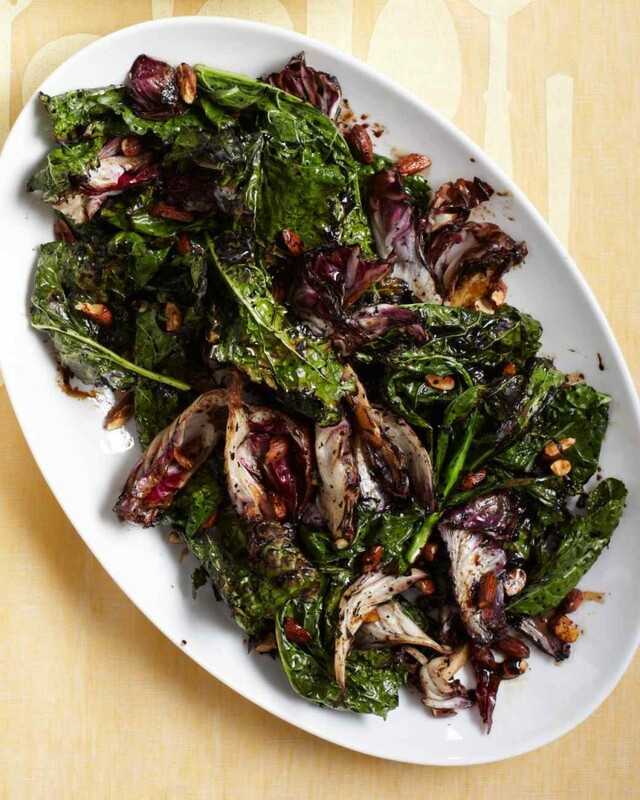 Combine the kale and romaine in a large bowl with the remaining 1 tablespoon olive oil and the vinegar. Add the roasted vegetables and toss. Make the croutons: Spread the bread cubes on the same baking sheet, season with salt and pepper and broil until golden, turning once, 1 to 2 minutes.